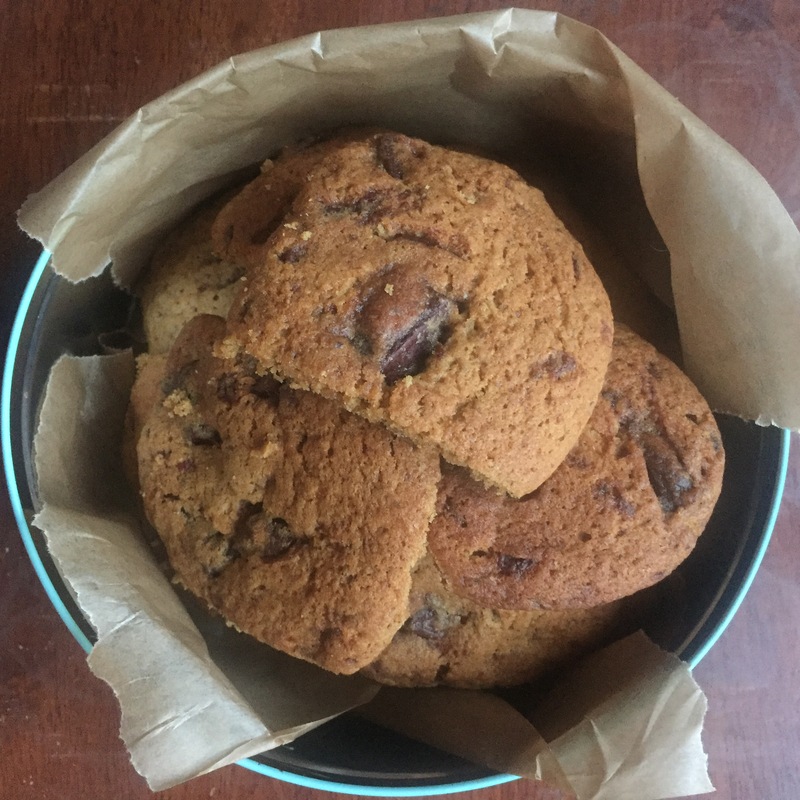 Last year I set myself the challenge to make an allergy friendly version of a bake from each week’s Great British Bake Off. Whilst not all were successful I discovered a few new techniques and recipes which have become staples in my recipe book. 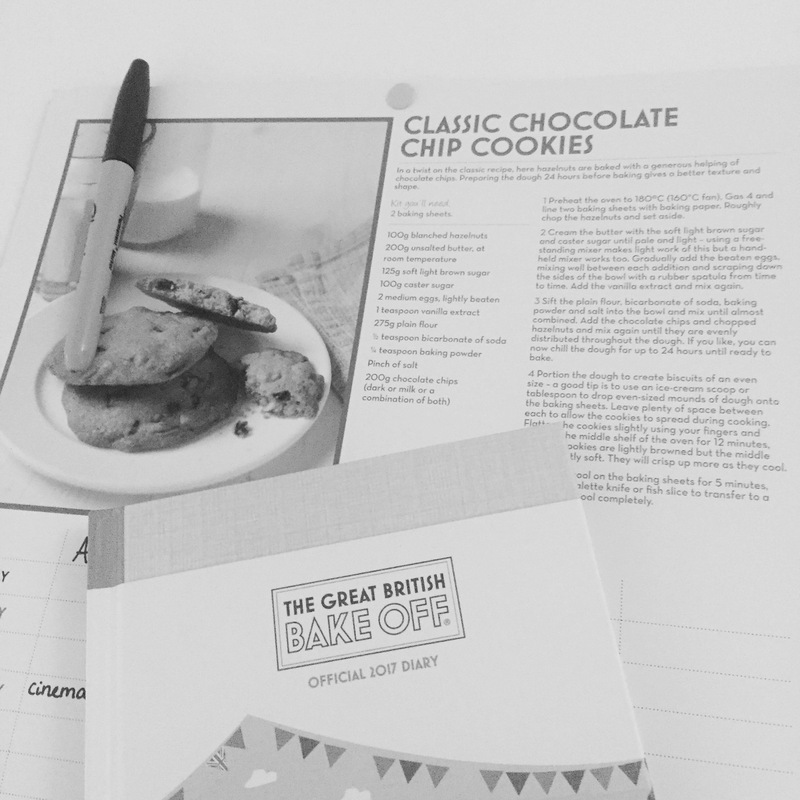 I’m still undecided whether or not I will be watching GBBO when it moves to Channel 4, so I thought I’d try sprinkling some allergy friendly magic over the GBBO calendar and diary instead. 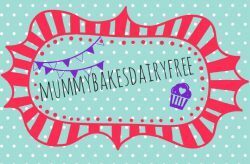 Each month has a different bake, most contain at least one of our allergens if not all! 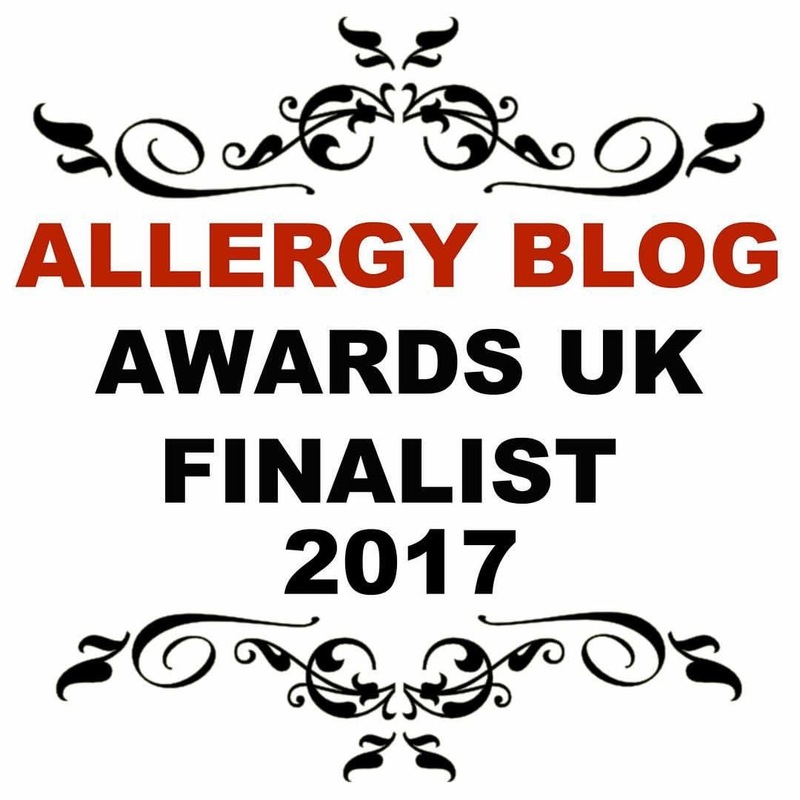 I’m also planning to look at ways to make them slightly healthier but they are treats so they wont all be refined sugar free. 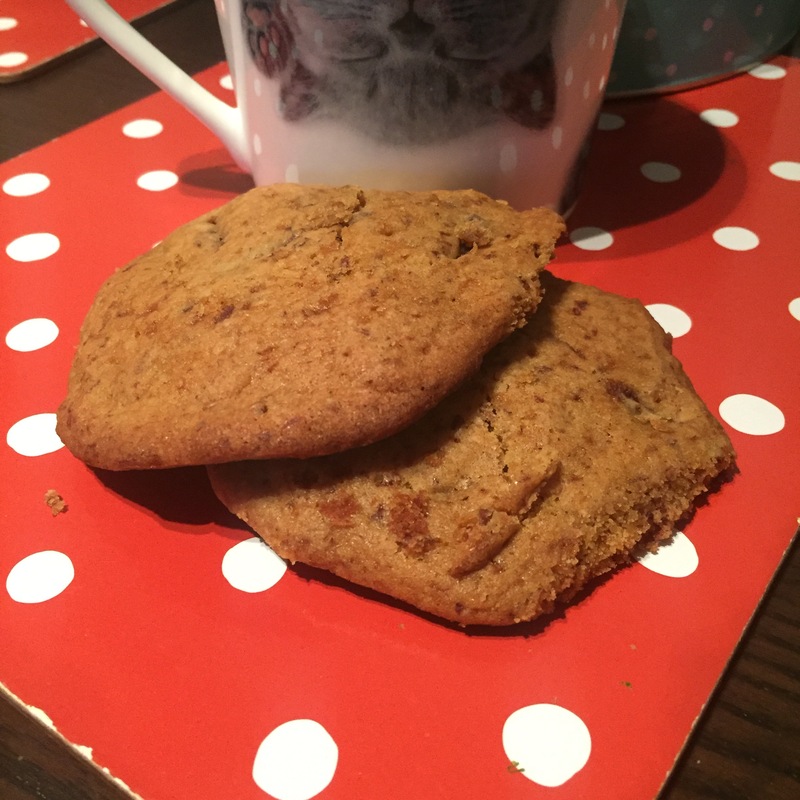 January’s calendar recipe is Chocolate Chip Cookies which can contain not only dairy and egg, but hazelnuts too! I omitted the hazelnuts, substituted the butter for Flora Freedom, and replaced the eggs with flax seed eggs. The recipe called for a mix of soft brown sugar and caster sugar. I swapped the brown sugar for coconut sugar. For the chocolate chips I didn’t have any allergy friendly ones, so I chopped up some Moo Free chocolate which worked beautifully! So here is my amended version of the original recipe. The cookies turned out deliciously, with a Millie’s Cookie type texture. Preheat the oven to 180c and line two baking trays with baking paper. Cream the dairy free spread, caster sugar and coconut sugar together in a large bowl until pale in colour and fluffy. I used an electric hand mixer. Gradually add the flax seed eggs to the bowl, mixing well between each addition and scraping down the sides with a spatula. Once fully combined add the vanilla and mix again. Sift the flour, baking powder, bicarbonate of soda and salt into the bowl. Mix with a spoon until almost combined. 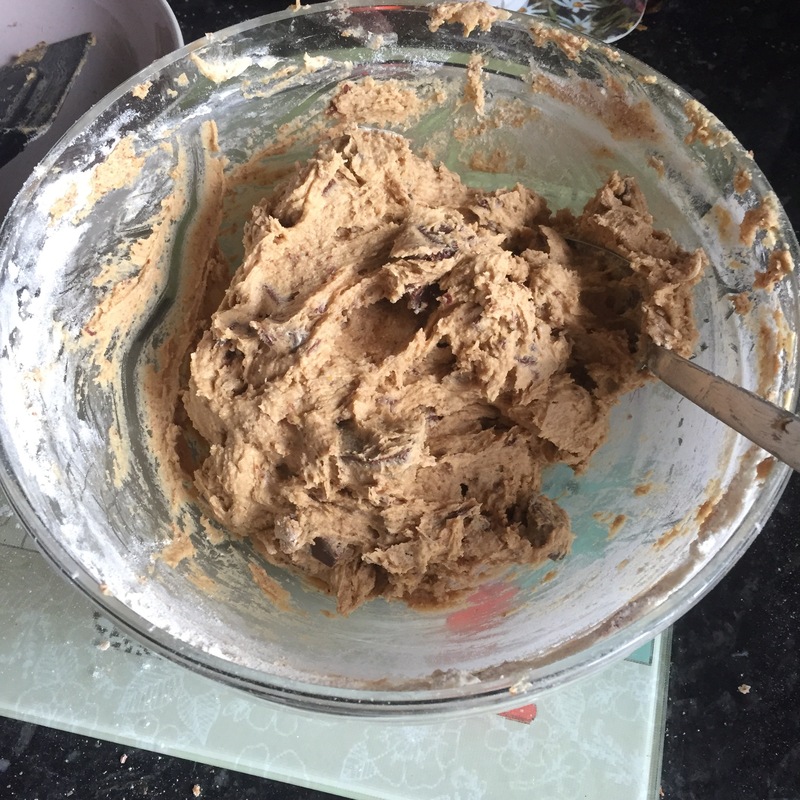 Then add the chocolate chunks, mixing until they are evenly spread throughout the mix. Don’t worry if the mix is wet, it bakes beautifully. 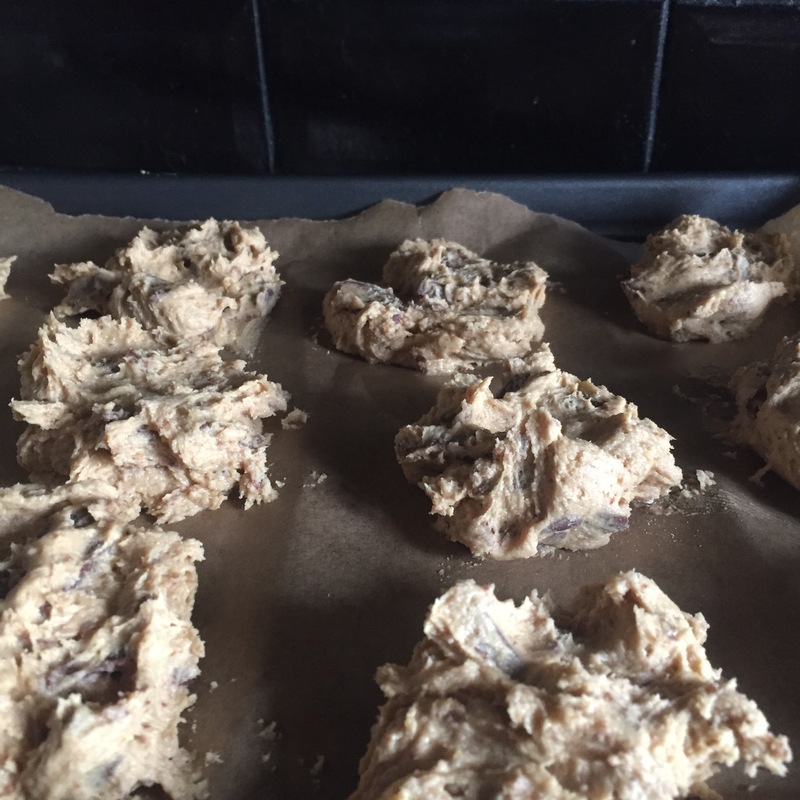 Using a tablespoon, scoop the mixture onto the baking trays in 24 even mounds. Make sure that there is space between each mound as they spread during baking. Gently press the dough down to flatten slightly. Pop the trays into the oven and bake for 12 minutes. 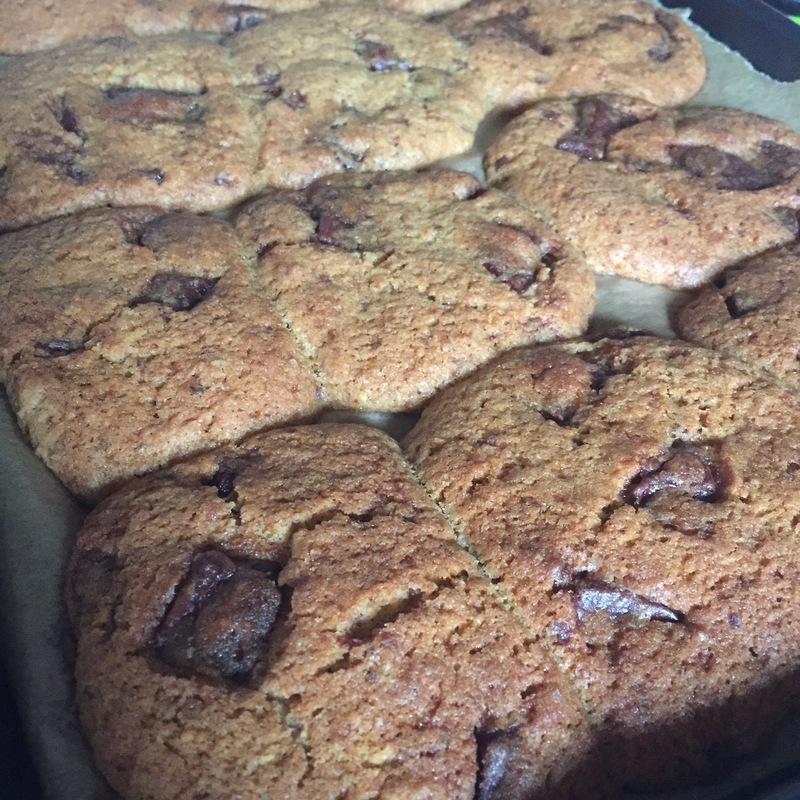 When you remove the cookies the centre should still be squidgy but they harden up whilst cooling. Leave to cool completely on a wire rack, before transferring to an airtight container.